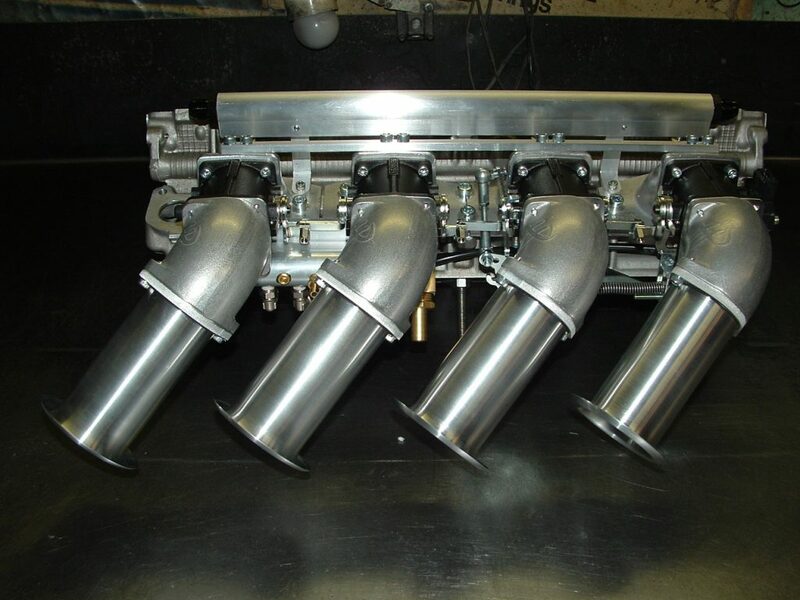 Porsche 968 Track day/Street 54m/m ITB system, to fit with power brake booster. 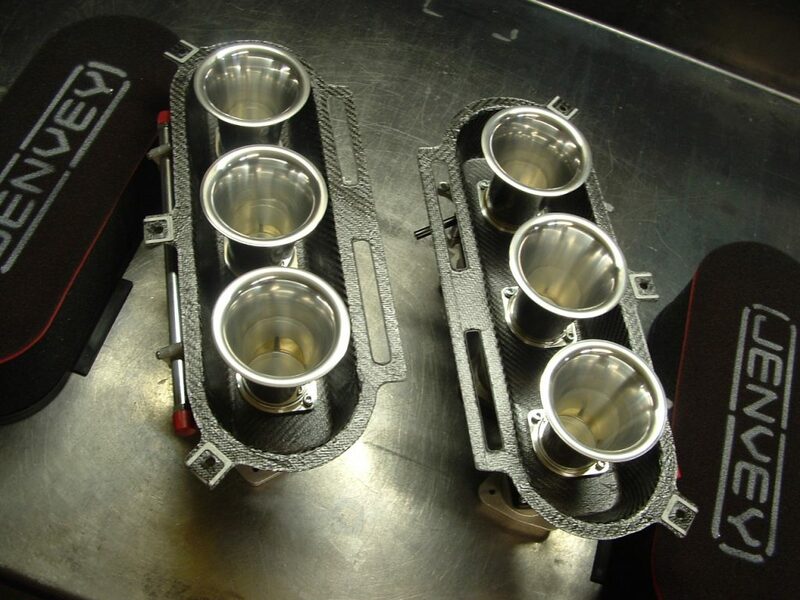 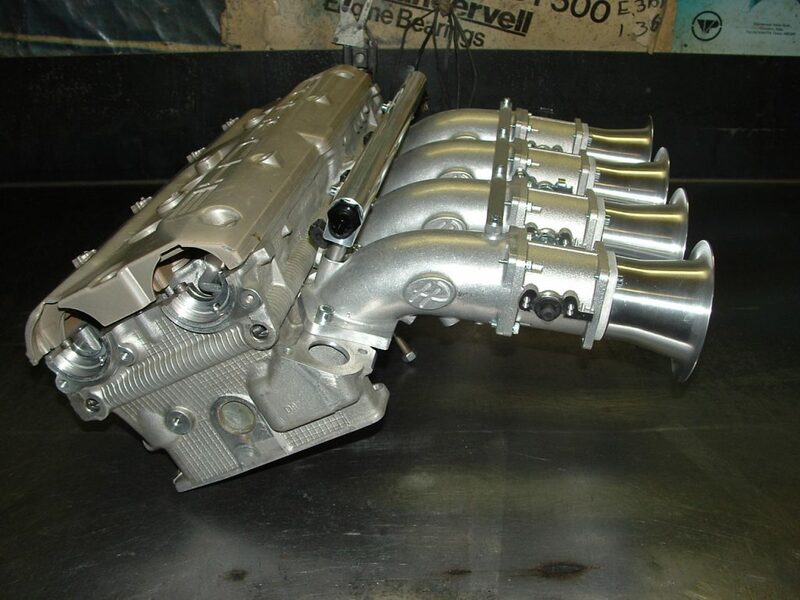 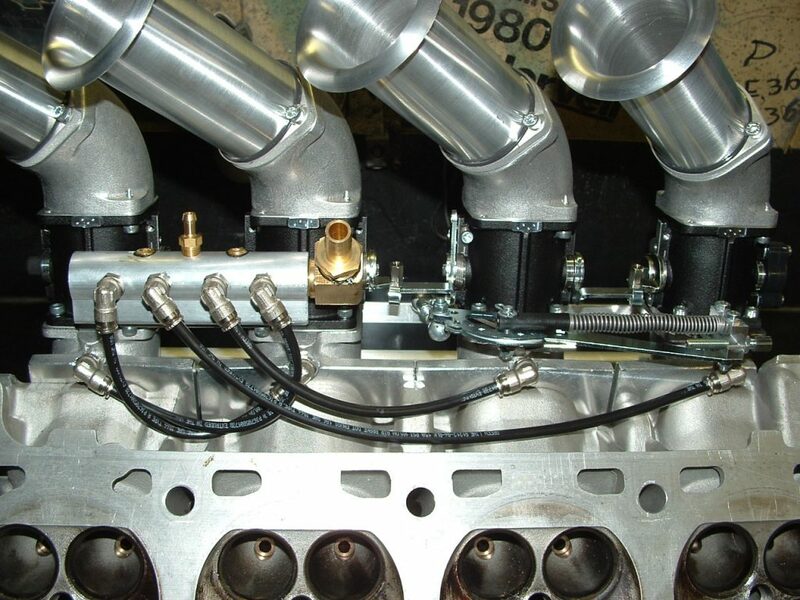 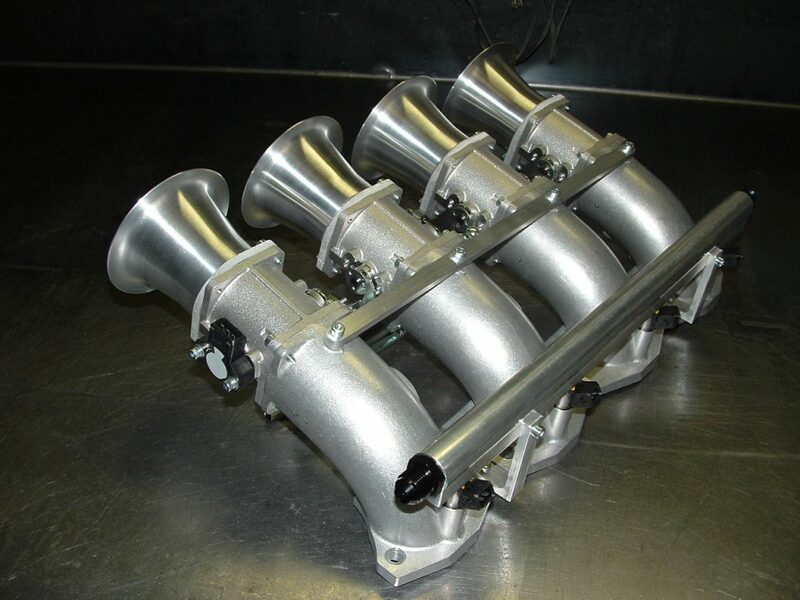 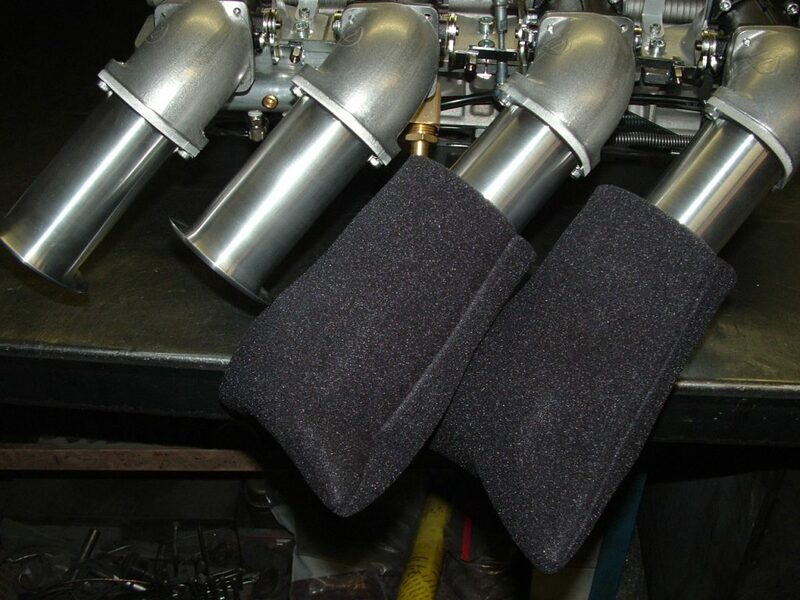 Porsche 968 Racing 60 m/m straight bore and 60 to 54 m/m taper throttles system, will not fit with brake power booster. 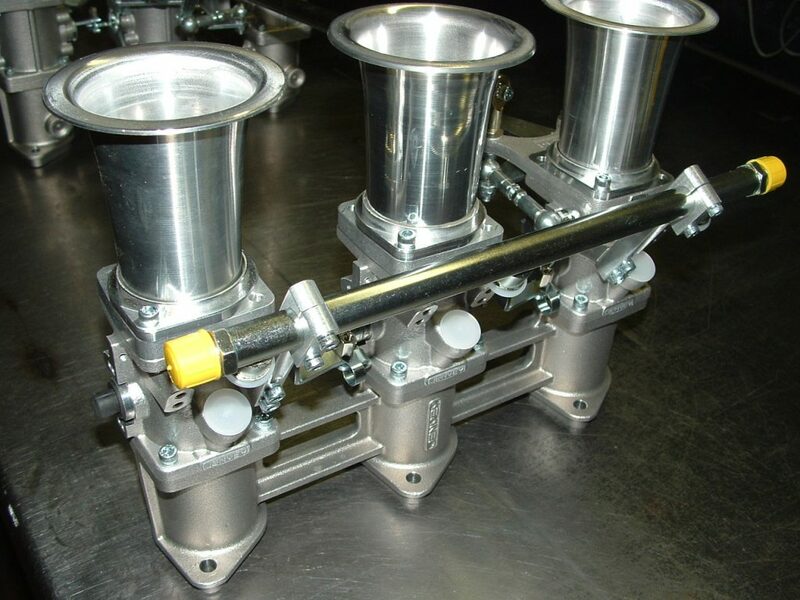 System can be sized for 968 3.0L with 60m/m throttles and for 944S 2.5L with 60m/m to 54m/m tapered throttles and 54m/m ports. 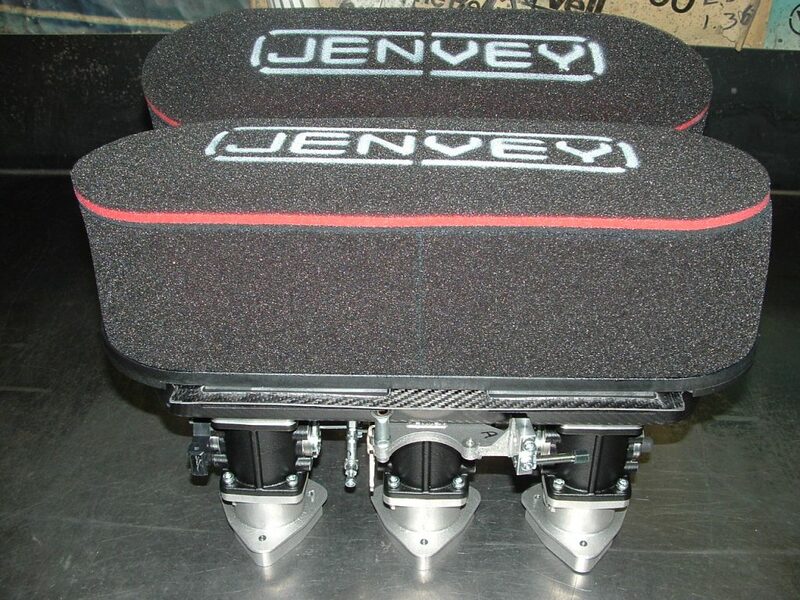 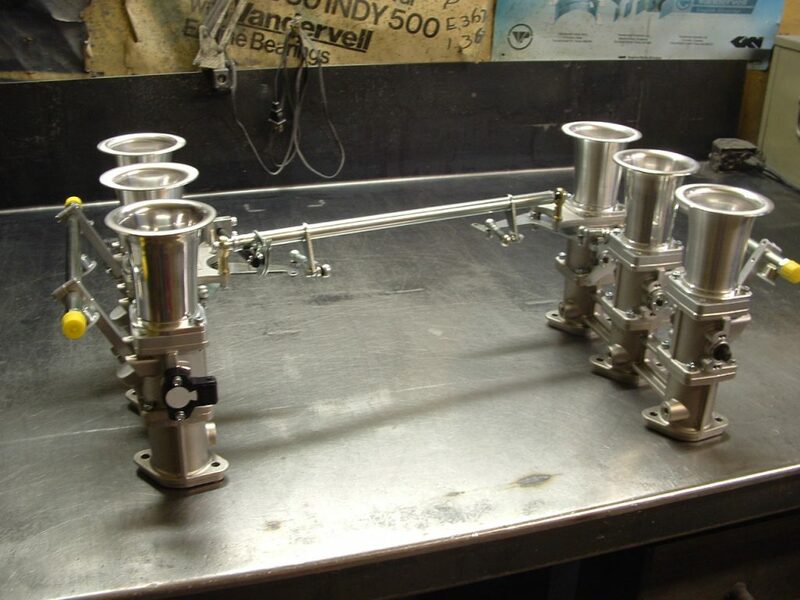 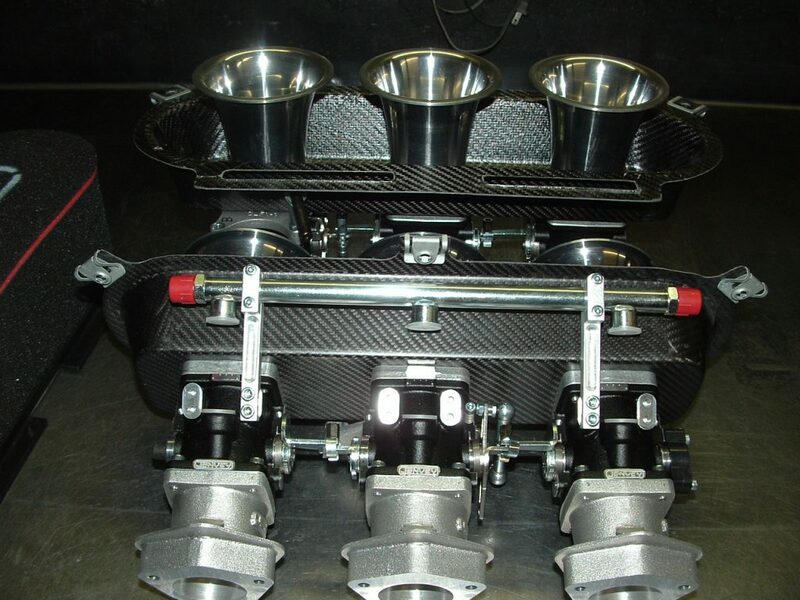 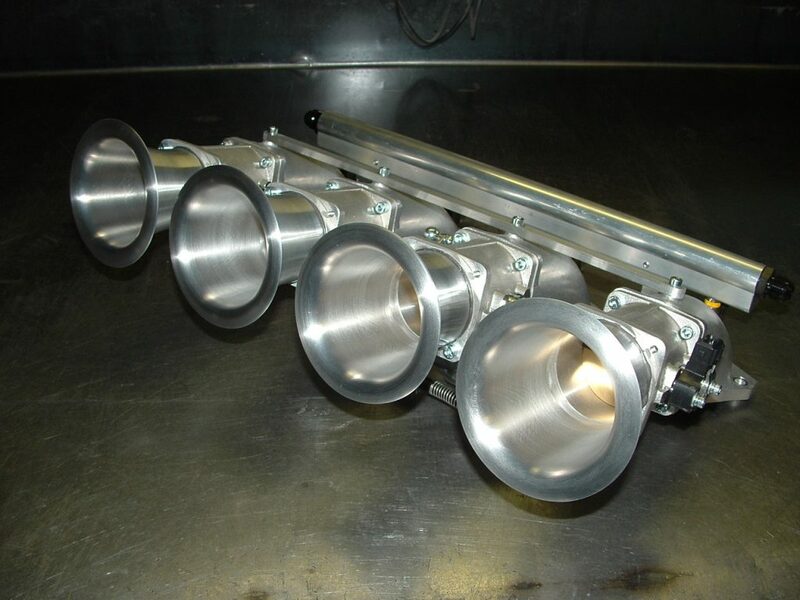 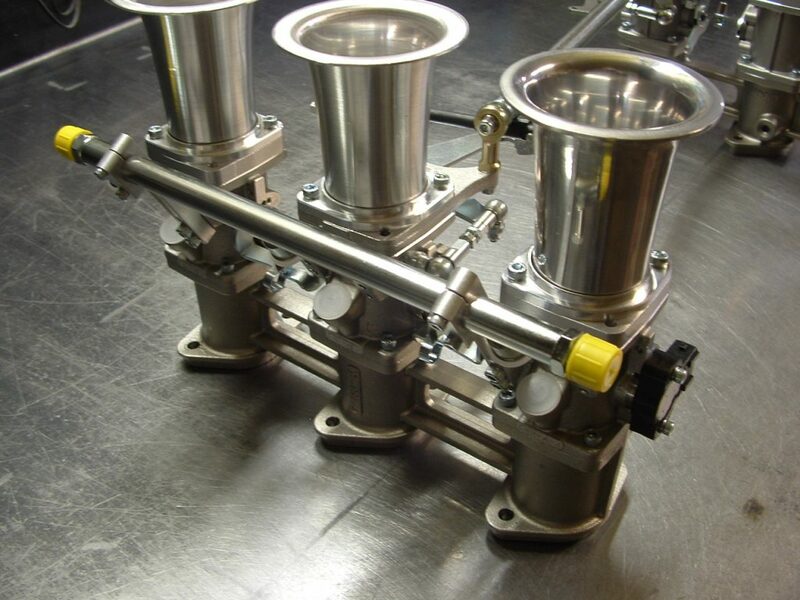 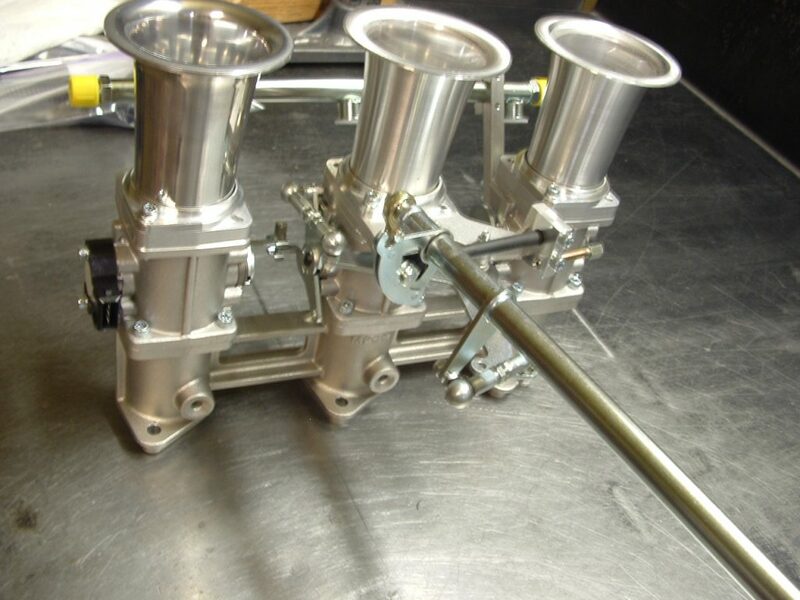 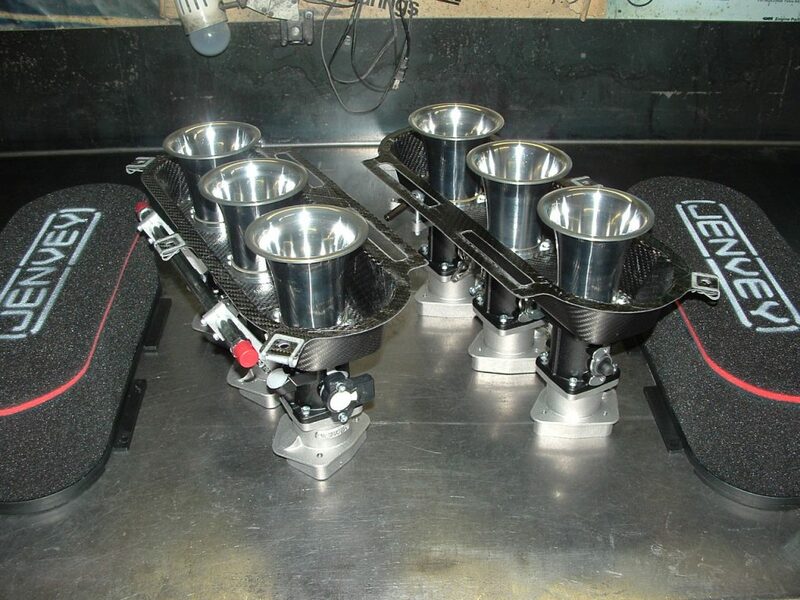 System comes with base manifolds, 60 or 60 to 54m/m tapered throttles for 2.5 liter , cable pull linkage, (4) 440cc Pico injectors, -8 fuelrail and mounts, TPS and wiring clip, 60x 75m/m airhorns or 54m/m x 40,90,120m/m for the smaller 54 m/m throttles. 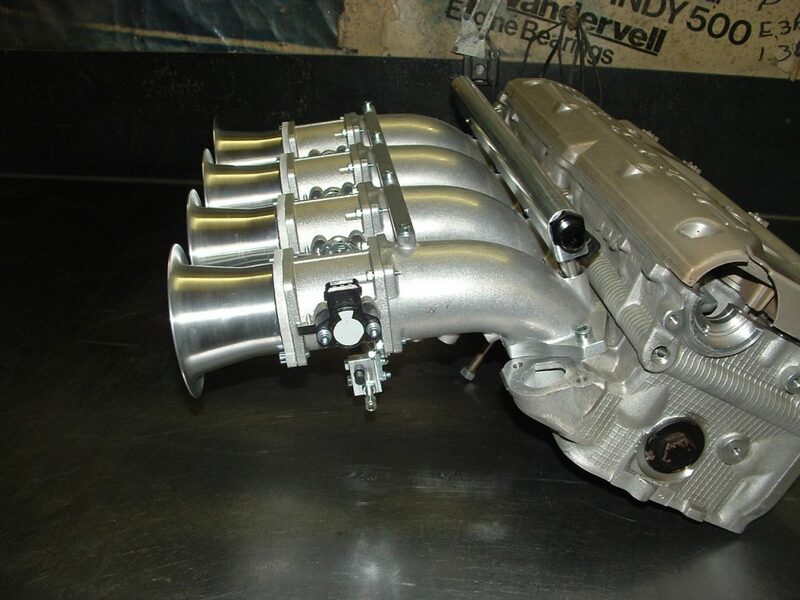 Porsche 964 and 993 ITB system pricing starting at $3000.oo and up depending on options such as the airfilters and port and throttle sizing. 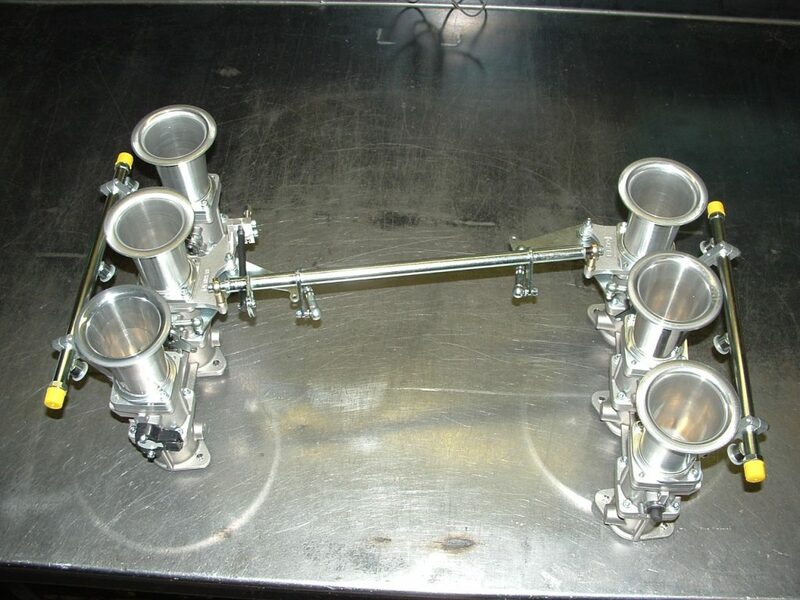 Early Porsche 911 ITB systems, pricing from $3000.oo us$ and up, from the smaller engines up to the 3.2 , these pictures show the crossbar throttle linkage common to all the aircooled systems.